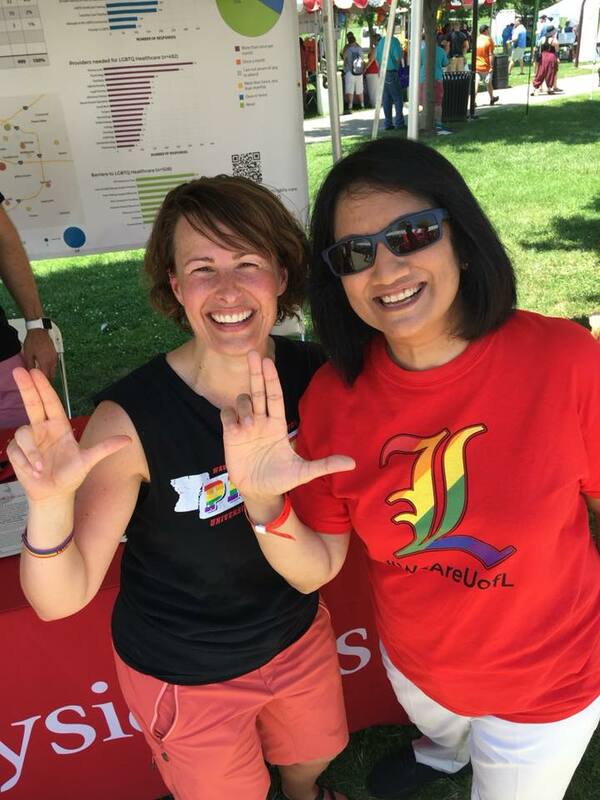 On Friday, June 15, new University of Louisville President Dr. Neeli Bendapudi emailed the campus community in celebration of Pride Month, sending a strong message about her commitment to diversity and inclusion. She followed up by attending the Kentuckiana Pride Festival celebration on Saturday wearing a tee shirt featuring the university's logo in rainbow colors. As our community prepares for the Kentuckiana Pride Festival, the University of Louisville celebrates the LGBTQ community and sends a message of support and welcome. For three years in a row, UofL has been named one of the “Best of the Best” of LGBTQ-friendly campuses in the United States and the only public university in the South to be so honored. First school in Kentucky to offer health insurance benefits to LGBTQ couples, to open a staffed LGBTQ Center, to offer LGBTQ study abroad trips, to host an LGBTQ alumni council, and to launch a themed housing community for LGBTQ students and allies. All of this, and UofL is home to one of the country’s largest LGBTQ archives, the Williams-Nichols Collection. As we aim to celebrate diversity, foster equity and achieve inclusion, we commit to building on the strong legacy of intersectional inclusion in our LGBTQ community.